Product prices and availability are accurate as of 2019-04-24 04:06:53 EDT and are subject to change. Any price and availability information displayed on http://www.amazon.com/ at the time of purchase will apply to the purchase of this product. 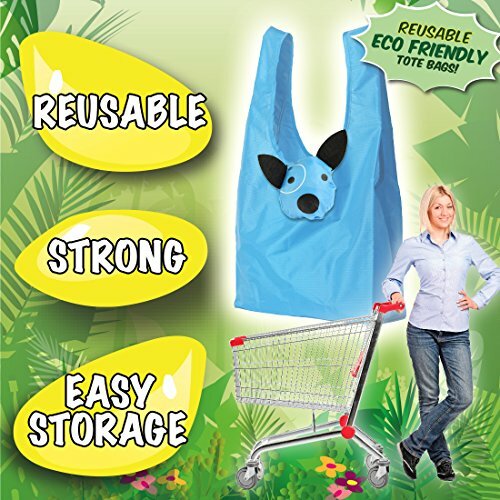 Includes 8 FUN DESIGNS that unfold into reusable shopping bags! Perfect for kids or adults! 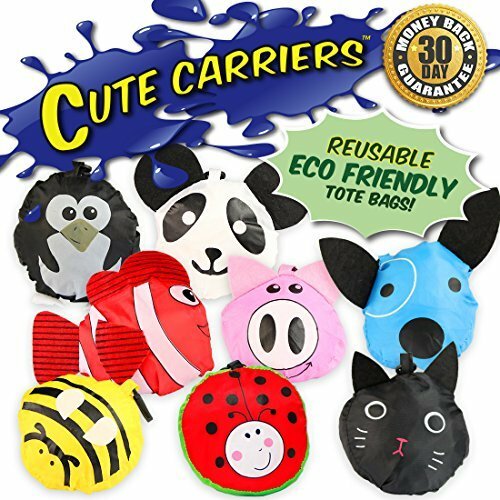 ECO-FRIENDLY bags can be used again and again for party favors, grocery shopping, pool, gym, library, or Piñata bags! 8 ADORABLE ANIMALS! Buzz the Bee, Cassie the Cat, Corey the Clownfish, Pinky the Pig, Doug the Dog, Lexy the Ladybug, Penny the Penguin, and Peter the Panda! Which one is your favorite? 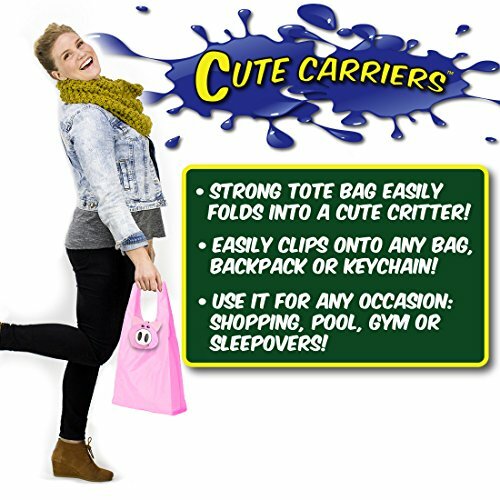 EASILY clips onto any bag, backpack, or keychain! 30 DAY MONEY BACK GUARANTEE. As a growing small business, we understand how important each and every purchase is, so your happiness is our number one concern. If you don't love the Fruit Carriers, we'll refund you 100% of your money, no questions asked.